When we claim to be the World’s Largest Court Builder, it’s based on a history of completing over 100,000 projects, on all seven continents and in more than 100 countries, installing everything from gymnasium floors to outdoor modular surfacing, hoops and lights, to tennis courts and everything in between. For almost 40 years, Sport Court has been creating better places to play. Sport Court’s Court Builders have been with the company an average of 19 years–some as long as 35 years. Don’t take our word for it. 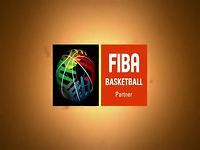 Our products are used at the highest levels of competition by the USA Volleyball Olympic National Teams, the NCAA Men’s and Women’s Volleyball Championships, the Youth Olympic Games and the Japanese professional basketball league. All of our sports flooring products are third-party tested for performance and quality standards. Sport Court has more representatives on the street than any other sports flooring manufacturer. Each home or facility is unique and requires more than just installing the surface. Our Court Builders understand the local building codes and environment and will take care of everything from start to finish. Our Court Builders are your neighbors, friends and community members, not a faceless company thousands of miles away. Sport Court manufactures the best sports surfaces in the business, but if something does go wrong or your court needs a quick tune-up, someone will be close by to assist you . Sport Court is the only ISO 9001 and ISO 14001-certified sports flooring manufacturer in North America. We are proud to have led the industry as the first ISO 9001:2008 sports flooring manufacturer in the United States. ISO certification is an independently verified quality standard and our processes are audited every year to ensure that we continue to manufacture the highest-quality products on the market. In addition to the quality assurances, Sport Court is also ISO 14001:2004 certified, an independent verification of environmental protection standards. 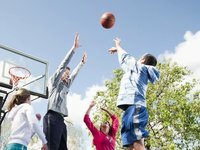 Sport Court strives to reduce its impact on the environment. Sport Court’s network of Court Builders has been with the company an average of 19 years. This shared knowledge assures you will be receiving the best information available to make your project successful. Because of our experience and dedication to court building, we are the first choice for builders and architects throughout the world. In 2009 Sport Court was audited and verified as a ZeroWaste Manufacturer by SWCA Environmental Consultants. ZeroWaste was an important goal at Sport Court and we developed a processes to reduce the amount of waste that reaches a landfill. Our focus on eliminating waste has also assisted in the development of recycled products such as PowerPro Dance flooring, SportBase and GreenPlay, a wood flooring sub system.